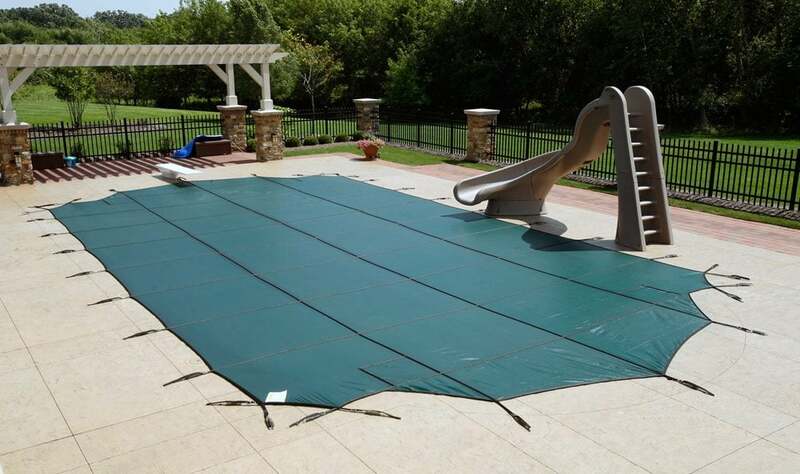 Leave it to Leisure Tech to take care of properly closing your pool after a fun-filled summer and fall. Our closing procedure for your swimming pool and spa is key for a healthy and long life of your pool. Closing a swimming pool can be overwhelming, but Leisure Tech is here to help! As winter approaches, our pool closing service properly prepares your swimming pool or spa for the off-season. It’s important to understand that the process in which your pool is closed will have a large impact on how much effort will be required to open your pool in the spring. Leave it to our professional technicians who will make sure your pool is balanced correctly and your equipment is winterized and protected from freezing temperatures. Ready to schedule your Pool Closing? When should a swimming pool be closed in the Northeast? 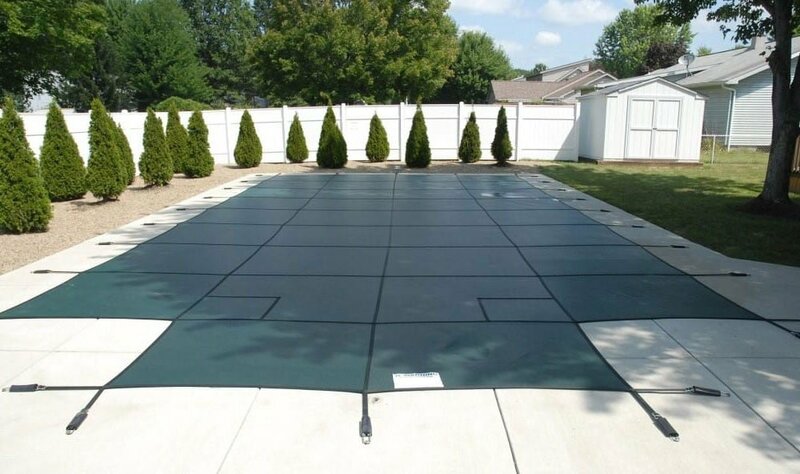 Leisure Tech recommends closing your pool when the water is consistently below 65 degrees Fahrenheit. Closing your swimming pool at this time will also help minimize and prevent algae and bacteria growth during the colder months. However, if you live in an area with heavy tree coverage, an accumulation of leaves may land in your swimming pool. If this case, we recommend closing your before the leaves attempt to clog the filtration system within your swimming pool. Do you complete closings of spas, hot tubs and jacuzzis? Yes. For those that must leave their spa unused or without power during the winter, it’s imperative that a winterizing procedure is completed. Most freeze damage is a result of improper winterization and incorrect draining of your hot tub or spa. Is the pool completely drained or lowered to a certain level? Your pool should never be completely drained. Typically, the water is lowered below the skimmer level. 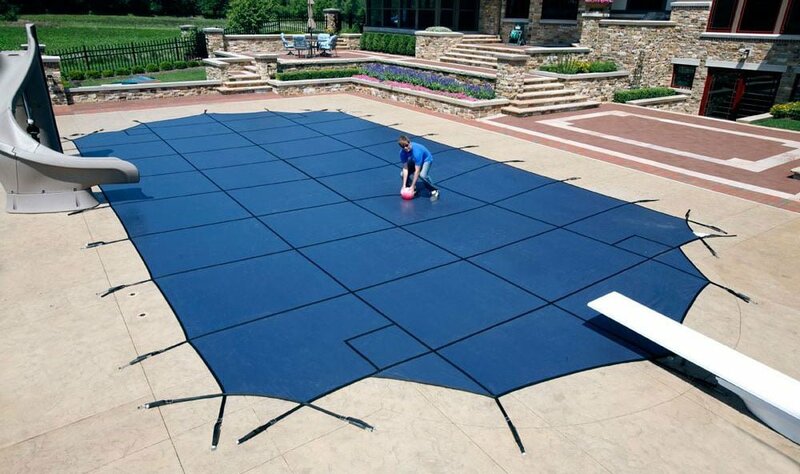 Do I need a Pool Cover? 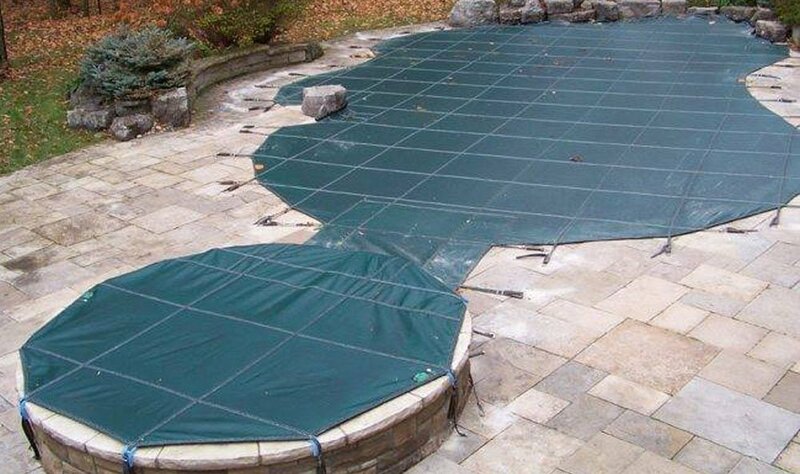 If you live in a climate where you close your pool for any period of time during the winter months, having a winter pool cover is a must. WHAT CHEMICALS ARE USED TO WINTERIZE MY POOL OR SPA? We have an assortment of pool winterizing products & kits that include everything that you need for winterizing your pool. There are kits for chlorine pools and non-chlorine kits. They come with things like algaecide, rust protection, and shock treatment to ensure that your pool is protected all season long.